What music does Ireland listen to? The Circular wanted to find out what the Irish people listened to, compared with another European country. Walking down Harcourt Street during a Saturday evening, and opening your ears, you can hear a lot of the music being played in the clubs. All from the happy late 90’s hits to today’s massive EDM remixes. But just by walking down the street vis-a-vis, there are heaps of bars playing an entirely different type of genres like country, indie rock or blues, to mention a few. Why is this, and what do Irish people prefer? U2, Van Morrison, The Script, and The Irish Rovers are just some of Ireland’s many music artists. All of the listed artists have had hits on Billboard top lists for several weeks during the decades. All the way back to 1968 with The Irish Rovers and ‘Domino’, to 2010 with the Script and ‘Breakeven’. But do the Irish people stay true to their national musician heroes? The Circular checked out Spotify to see how many tracks were listed with Irish music artists. 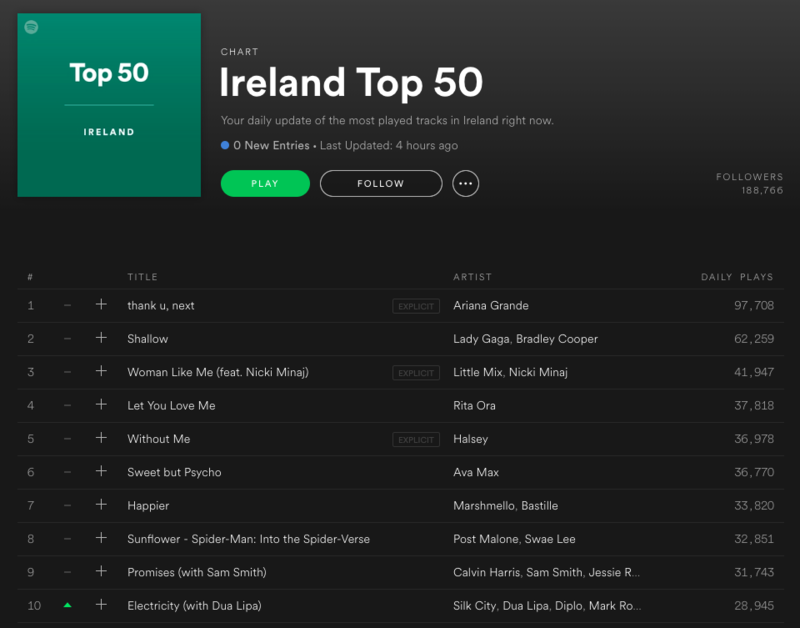 Several famous British artists like Little Mix, Bastille, and Sam Smith are listed in the top 10 most played tracks in Ireland, but no one from the Emerald Isle. By comparing Ireland’s Spotify with another country like Norway is it easy to see several differences. The diversity of artists and daily plays are appreciable. Four out of the ten tracks are common in both top 10 lists. The ‘music taste’ is therefore not that different from each other. 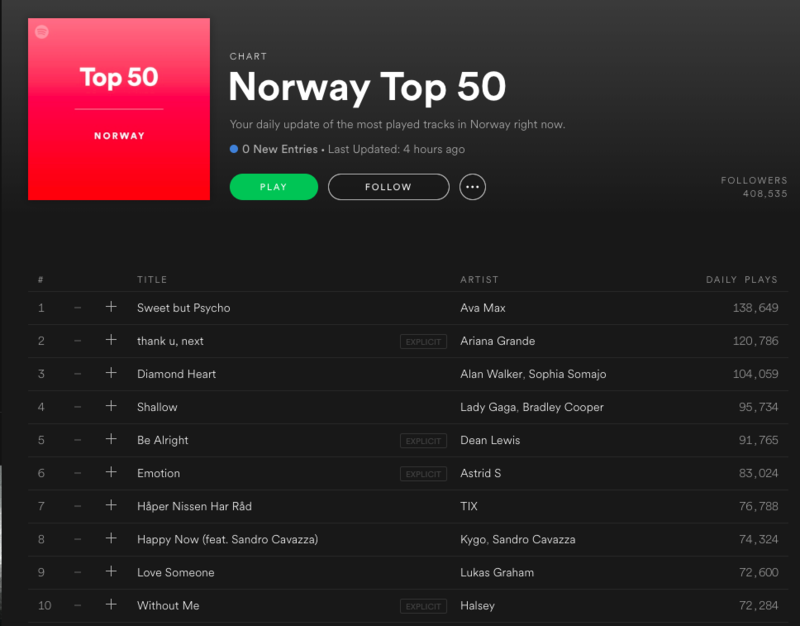 Of the top 10 tracks, four of them are Norwegian artists. 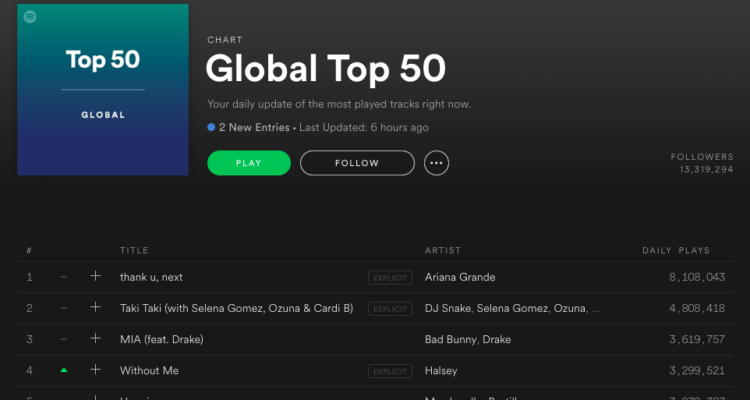 Alan Walker, Astrid S, TIX, and Kygo are huge artists in Norway, as well as worldwide. They have had different ways of ending up where they are today, and they are still going strong. By comparing music which people listen to in Ireland and Norway, it is safe to say Norwegians are more ‘patriotic’ to their national artists. By taking a closer look at the daily plays, there are wide gaps between the most played tracks, as well as the tracks further down the list. This could mean two things: 1) The Irish does not use Spotify as their primary source of music, or 2) the Norwegians spends a considerable more amount of time listening to music. You can take a closer look at the charts here: Spotify Top 50 in Ireland and Spotify Top 50 in Norway.